Stay updated on hardware and software news, tutorials, and more at Electromaker.io! In its latest iteration, Lakka 2.1.1, you can install the phenomenal retro gaming OS on the Raspberry Pi B+. Additionally, it supports Amlogic S912-based boards. 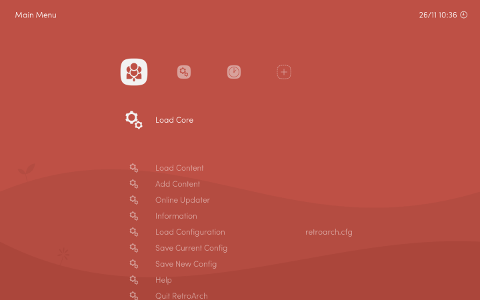 Among the various updates and fixes, Lakka 2.1.1 rocks RetroArch 1.7.3 and features LibreELEC 8.2 fixes. The XU4 kernel benefits from an update to 4.14, and there are Rockchip and Allwinner kernel updates. New cores include Higan for SFC emulation, nSide which is a Higan fork, OutRun engine core Cannonball, MAME2003 with a 2018 update, Snes9x 2005, Snes9x 1.43, Matte Intellivision emulator FreeIntv, and a Game Music Emu core. You'll find updates to 3DS emulator core Citra, MAME2003, PSP emulator PPSSPP, DS Emulator Desmume, GameBoy emulator Sameboy, and more. Notable bug fixes include an ARM-board keyboard fix, and Bluetooth fix for Amlogic S905 and S912 devices. There's also wider gamepad support, such as Zeroplus gamepad support, and Libretro overlays within SAMBA. With Lakka 2.1.1 comes a major advancement in Raspberry Pi 3 B+ support. This affords improved performance over the vanilla Raspberry Pi 3, which translates to smoother gameplay for Nintendo 64, PlayStation Portable, and Sega Dreamcast ROMs. When comparing RetroPie, Recalbox, and Lakka on the Raspberry Pi, I found Lakka the easiest to spin up with its out-of-the-box support for tons of gamepads. Ultimately, it's one of the best ways to run retro games on the Raspberry Pi, and with Lakka 2.1.1's newfound compatibility with the Raspberry Pi 3 B+, a top choice for Raspberry Pi 3 B+ ROM emulation. For more retro gaming, consider checking our RetroPie and Recalbox on the Odroid XU4. There's also a full-fledged home theatre PC (HTPC) and gaming OS in GameStation Turbo for the Odroid XU4. For a portable solution, snag an Odroid-Go for a do-it-yourself (DIY) GameBoy. Up your game with a complete arcade cabinet build for the Raspberry Pi. Your turn: What retro gaming OSes are you using?